Queen Red-tailed bumblebee (Bombus lapidarius) Photo credit: Tessa Bramall. One of the ‘Big 7’ widespread and abundant species, found in a wide range of habitats across the UK. Queens and workers are jet-black, with a bright red tail covering up to 50% of the abdomen. Males have yellow facial hair and bright yellow bands at the front and rear of the thorax, along with a similar red tail to females (though this fades quickly in sunlight and can appear yellow or even white in worn specimens). Left: Male Red-tailed bumblebee (Bombus lapidarius, photo credit: Edward Palmer). 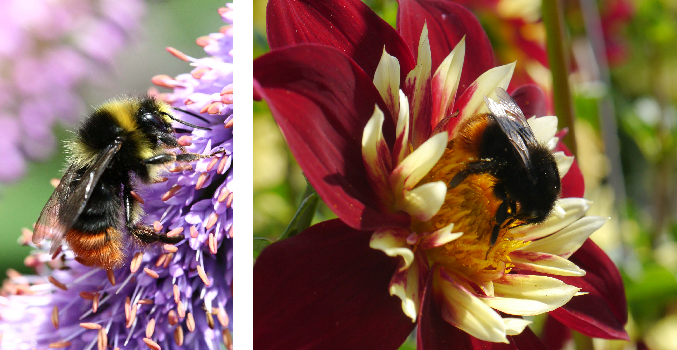 Right: Worker Red-tailed bumblebee (photo credit: Sara Seymour). 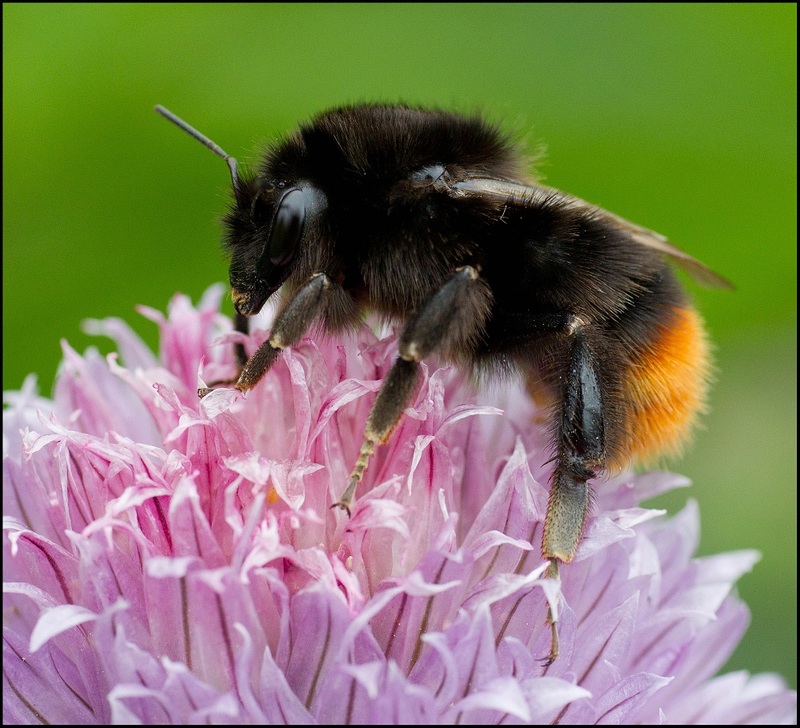 The species is parasitized by the similar-looking Red-tailed cuckoo bumblebee (Bombus rupestris): the female of this species can be split from the Red-tailed bumblebee by their very dark wings, and the males by their greyish yellow bands. The scarce Red-shanked carder (Bombus ruderarius) is very similar, but has a rounder abdomen and longer face, and females have red tibial hairs making up the pollen baskets (black in female Red-tailed bumblebees). Males of the Red-tailed bumblebee have long red hairs on their hind tibiae, but they have yellow facial hairs, unlike the Red-tailed cuckoo or Red-shanked carder. The male genital capsule is useful to check the ID, particularly of worn specimens.